It’s a category of wines that many of us have grown to love dearly. Dry pink wines, typical of what’s consumed in southern France, are refreshing, bright, clean, and wonderful. More importantly, they are reflective of their place and of the grapes that were used to make them. In this best of its kind event, we’ll taste a huge range of dry pink wines from around the world. Pinot Noir, Syrah, Grenache, Tempranillo, Cabernet Franc, and more will tasted or discussed. California, Italy, France, Spain, Oregon, and more will be represented. 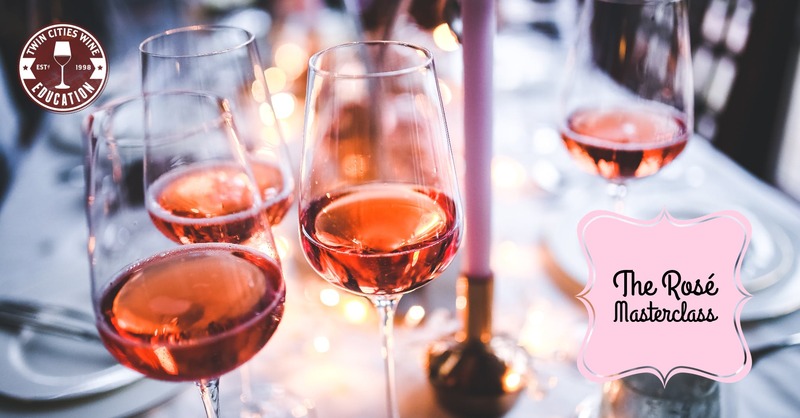 This is a complete overview of the world of rosé wines, from production methods to shopping hints and tips, and everything in between. We’ll dive deep into the four methods of production for dry pink wines and how they differ in the end result. We’ll also discuss Rose’ Champagne and why it’s a different animal entirely when it comes to pink wines. This class is guaranteed to be an eye opener for all! The range of styles, prices, and quality available for rose’ wines has never been greater. Come learn about this amazing category to plan your summer drinking!